- Macy’s has a total of 728 department stores in the US, with their flagship store at Herald Square, Manhattan NYC. - Macy’s Herald Square is well known for its Thanksgiving Day Parade, holiday window displays, and visits with Santa during Christmas. - Macy’s is famous for their extensive sales and wide array of merchandise. - Macy’s is the largest U.S. department store company. Macy's has become an iconic American brand since it's opening in 1858. Throughout the years, Macy's has been a pioneer in the department store industry through its business practices and retail "firsts". In 2015 Macy's grew its Herald Square flagship store to 1.1 million square feet to maintain it's status as "The World's Largest Store", housing everything you can imagine from housewares to shoes! Macy’s Herald Square contains 10 floors and has wide product range from men/women/kids fashion to footwear, home products, beauty, jewelry, handbags & accessories. Visitors guides are located at the entrance of the store and will help you navigate all 1.1 million square feet of retail space such as where to find certain designers, where the restrooms are located, and where to can grab something to eat or drink. - International shoppers can get a discount card for 11% off most purchases at the Visitor’s Center. 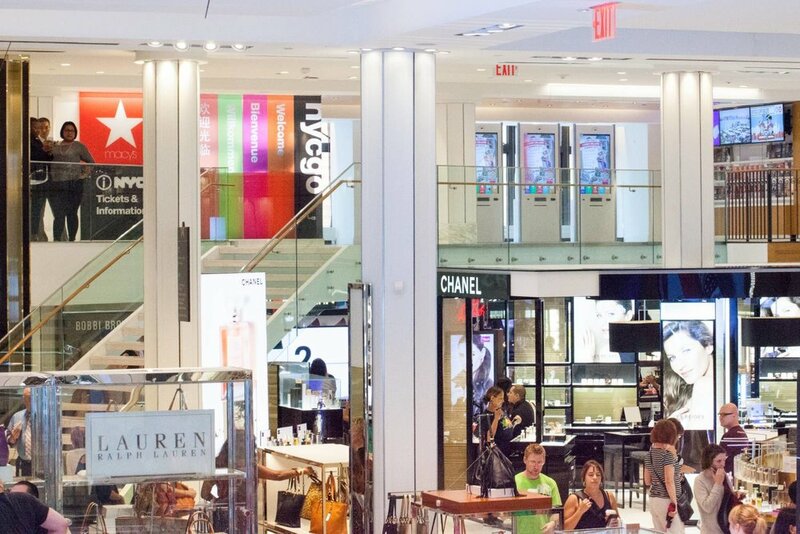 - Weekdays before lunch are the least crowded times to visit Macy’s. - Ask the cashier if you’d like to have your purchases shipped home. For a complete list of brands carried by Macy's, please click here. Please note, all brands listed may not be available in stores; please call the local store prior to visiting for information about specific brands. - Auntie Anne's Pretzels, Ben & Jerry's Ice Cream, and Jimmy's Pizza: great options for a quick snack. You'll find these on the fourth floor. - Stella 34 Trattoria- located on the sixth floor, this modern Italian restaurant features pizza from wood-burning ovens, house-made pasta, fresh salads, and an extensive wine list. 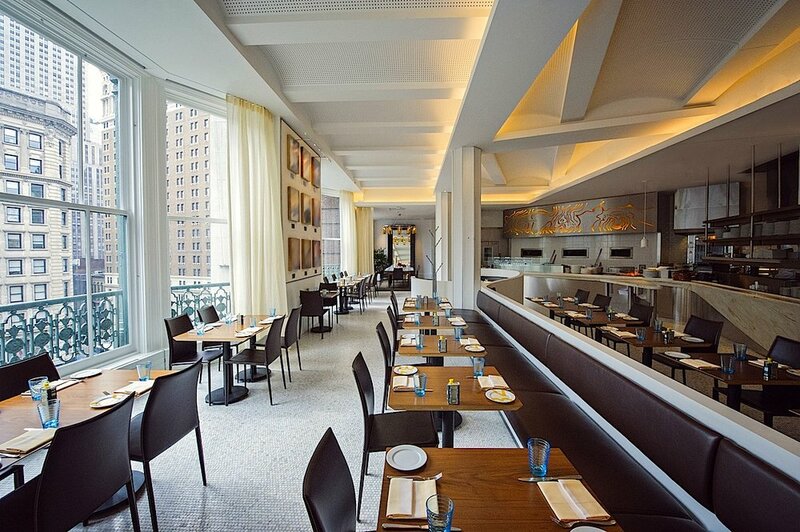 All dishes are served with an amazing view of the Empire State Building! - Au Bon Pain- a bakery café serving a variety of fresh baked breads, croissants, cookies, scones and many more specialty items in addition to their sandwiches, wraps, salads, and soups. You'll find Au Bon Pain on the eighth floor.